I think this is an appropriate post for Earth Day because kale is a very dense and organic vegetable that reminds me of the well...earth. This has come to be my favorite way to prepare it - simply with other strong flavors that stand up against the green's power. 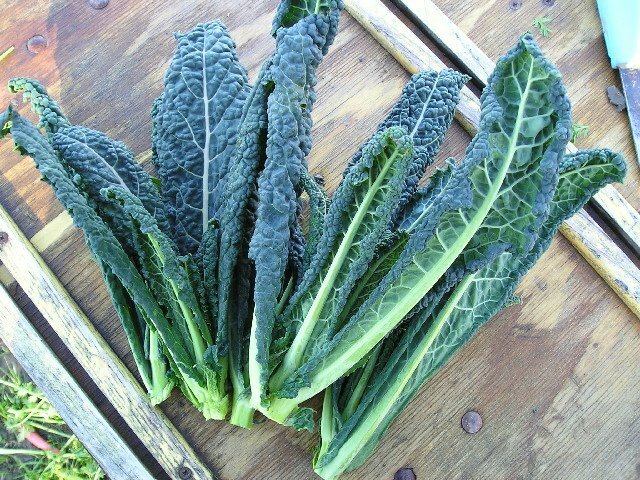 Trim the kale by pulling the leaves off from the center thick stem, tear or chop into bite sized pieces, then rinse & dry well. Heat a large skillet to medium / high and add oil. You want to get the oil hot because you're really trying to stir-fry the greens very fast (rather than letting them cook slowly, releasing their water, and getting soggy...grossss). Add the leaves (which should make a nice "pan is hot" noise when they hit) and play around with them, using tongs, for a three minuets. Add the garlic and red pepper - toss for another minute. Add the Parmesan cheese and combine...done! Usually the parm is gives the greens enough salt but just taste and adjust if needed. GREAT recipe and do you know also the info you provide here is life-saving? Well-done! I am going to link to you as I am actually preparing some Breakfast ideas. KEEP ROCKING! Earth Day is stupid. But I have some kale to cook, thanks for the preparation tip.